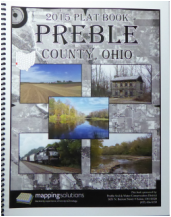 Preble County plat books are on sale at our office. Books include landownership maps by township and range, a landowner index for easy cross referencing, and additional county information. Cost is $25. Stop in and get one today!